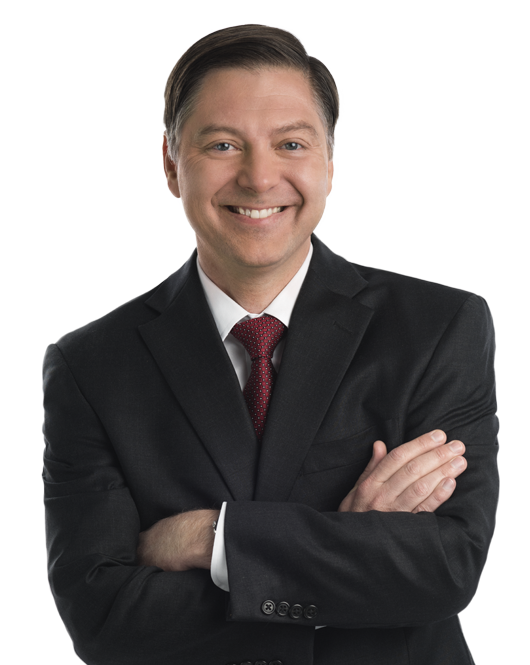 Brian Hill focuses on complex commercial cases and has extensive experience litigating cases involving fiduciary and other professional liability, class actions, government contract disputes and false claims and intellectual property rights. He has significant experience in local and federal courts in the District of Columbia and the surrounding area, including the "Rocket Docket" of the United States District Court for the Eastern District of Virginia. Mr. Hill's fiduciary litigation experience includes multimillion dollar claims involving the fiduciary duties of corporate shareholders, directors, officers, Employee Retirement Income Security Act (ERISA) plan fiduciaries and investment managers and inside and outside counsel. He has represented corporations, insurers, non-profits and beneficiaries in actions alleging breach of fiduciary duties by directors, officers, plan fiduciaries, agents and trustees. Hunter, et al. v. Berkshire Hathaway Inc. (N.D. Tex) (pending). Representation of holding company and operating subsidiary in putative class action alleging violations of ERISA, breach of fiduciary duty and breach of contract. The Family Federation for World Peace and Unification v. Moon (DC Super. Ct) (pending). Representation of Unification Church entities in an action against the current directors of a non-profit corporation. Claims include breach of fiduciary duty against corporate directors, trustee and agent. Davis, et al. v. PBGC (D.DC). Representation of more than 1,700 retired pilots of US Airways, Inc. in federal district court against the Pension Benefit Guarantee Corporation (PBGC). This ERISA-based action, emanating out of US Airways' bankruptcy and its related decision to effect a distress termination of its pension plan, asserted several claims for equitable and declaratory relief, including that PBGC failed to properly investigate breaches of fiduciary duty by prior plan managers. Rutherford v. Group Hospitalization and Medical Services (D.DC). Representation of health insurer in putative class action alleging violation of consumer protection act and breach of fiduciary duty. Case was settled and dismissed. Kopy Kween, Inc. v. March (DC Super. Ct). Representation of individual in action brought by former employer for breach of a confidentiality and non-competition agreement. Case was settled and dismissed. Successfully opposed plaintiff’s motion for preliminary injunction prior to dismissal. Heller, et al., Trustees of Electrical Workers Local No.26 Pension Trust Fund v. Nicholas Applegate Capital Management, LLC and Trust Fund Advisors, et al. (D.DC); Trustees of the Operating Engineers Pension Trust Fund v. Trust Fund Advisors, Inc. (D.D.C). Representation of investment manager in related breach of fiduciary duty actions brought by two Taft-Hartley Funds. Cases were settled through mediation and dismissed. Litigation issues included alleged failure to disclose material facts relating to investment manager personnel and allegedly imprudent investment decisions. In re ULLICO Inc. (D.DC). Representation of corporation and ERISA qualified and non-qualified plans in breach of fiduciary duty action against former officers and plan fiduciaries. Case was settled through mediation and dismissed. Litigated issues included propriety of insider stock offers and redemptions, Plan Amendments, benefit eligibility and ability of Plan and company to offset benefits against other debts owed by former fiduciaries. In re Global Crossing Ltd, et al. (S.D.N.Y.). Representation of corporations in bankruptcy action brought against former shareholders of Global Crossing for breach of fiduciary duty. Case was settled through mediation and dismissed. Litigation issues included liability of shareholder for alleged breaches of fiduciary duty by director appoint by shareholder. Ullico Casualty Co, et al. v. EW Blanch Co, Inc, et al. (D.DC). Representation of property and casualty insurer in action against former agent for breach of fiduciary duty. Case was settled and dismissed. Litigation issues included claims for breach of the duty of loyalty. Carabillo v. Ullico Inc Pension, et al., (U.S. Circuit Court of Appeals - DC Circuit). Representation of employee benefit plans in connection with motion for preliminary injunction seeking immediate payment of benefits. Denial of Injunction was affirmed on appeal. Ullico Inc. v. West (DC Super. Ct); Ullico Inc. v. McNulty (DC Super. Ct); Ullico Inc. v. Bernard (DC Super. Ct); Ullico v. Casstevens (DC Super. Ct). Representation of corporation in actions brought against former directors for improper transactions in company stock. Cases were settled and dismissed. Litigation issues included claims involving interested director transactions, failure to disclose and breach of duty of loyalty. Brian A. Hill will present during American Bar Association's (ABA) 2018 Chicago Annual Meeting on August, 2, 2018. Hill will present, "The False Claims Act - A Change in Direction?"